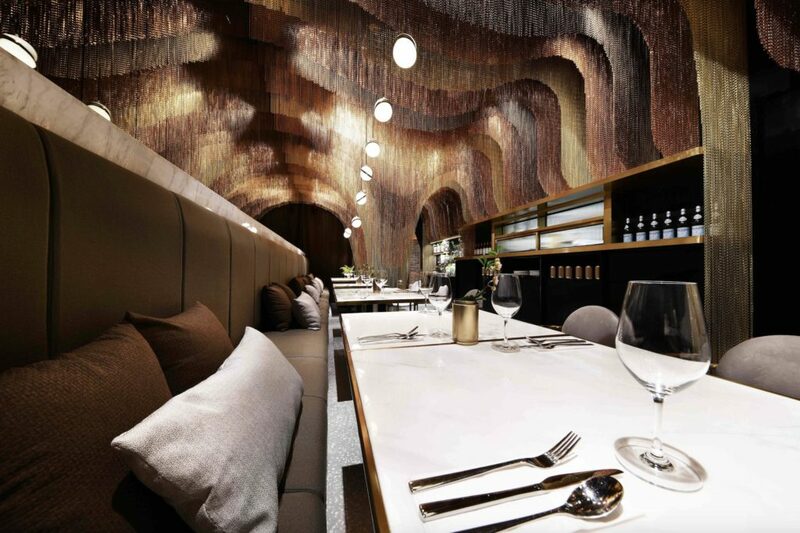 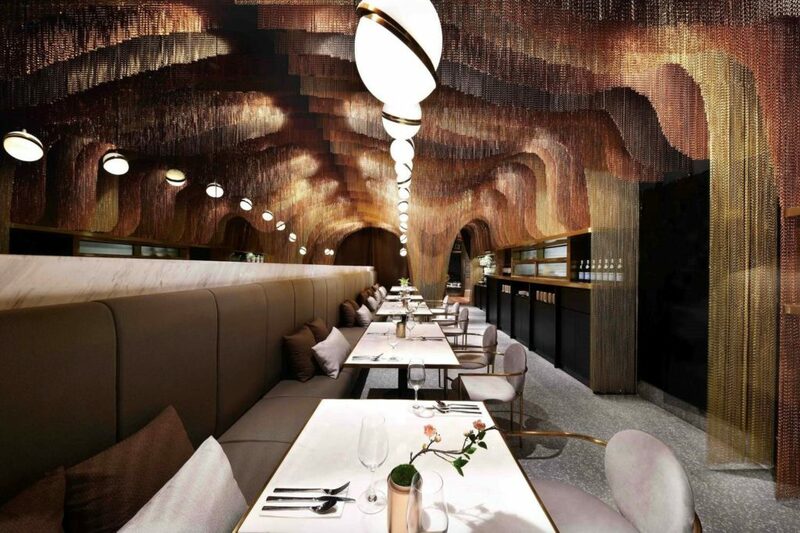 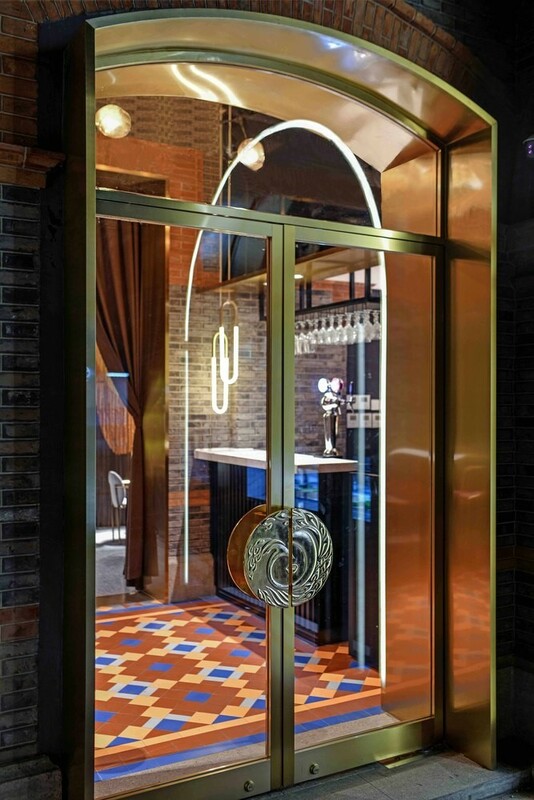 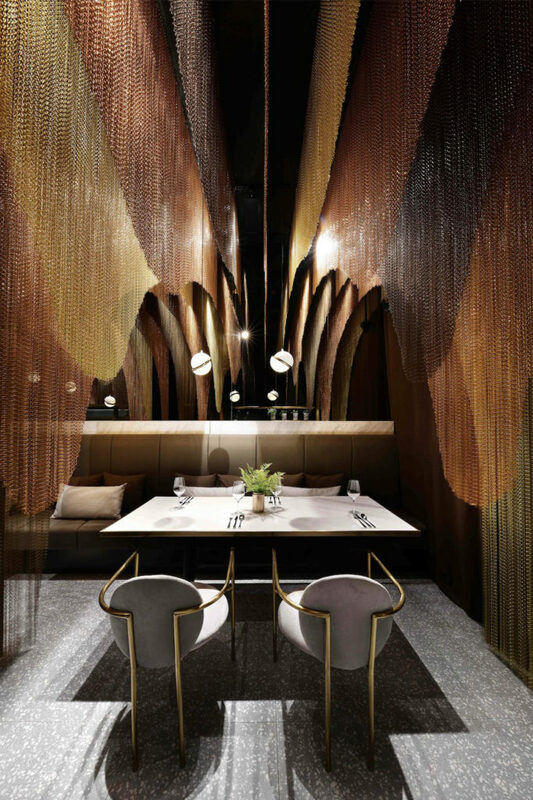 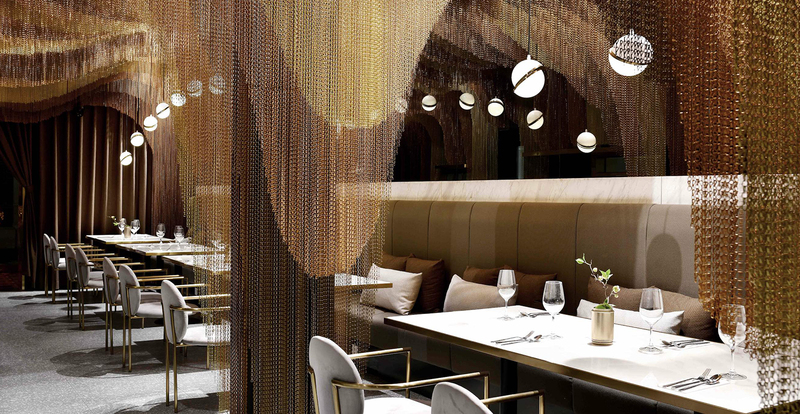 Taking inspiration from topography and geographical elements, this Shanghai restaurant’s interior is resplendent in undulating metallic tones. 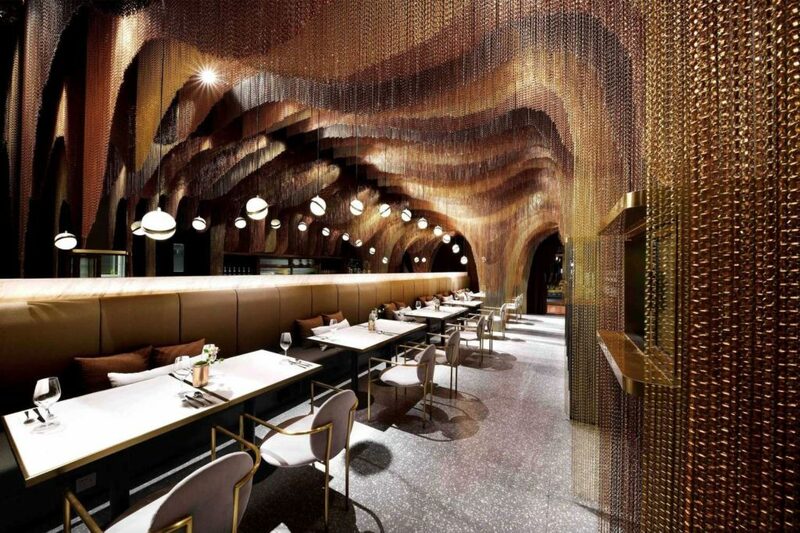 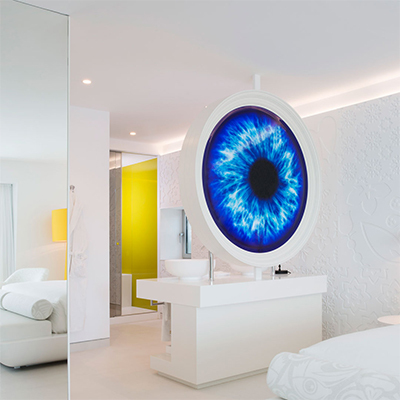 Interior Designers: Spacemen have outdone themselves with this Fengsheng Li flagship restaurant. 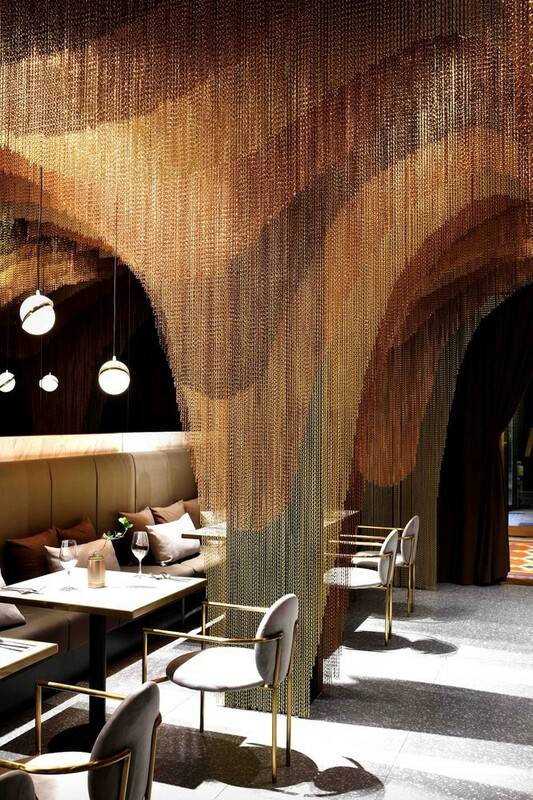 Stalactite-esque protrusions cascade down in gentle waves of gold, bronze and ochre. 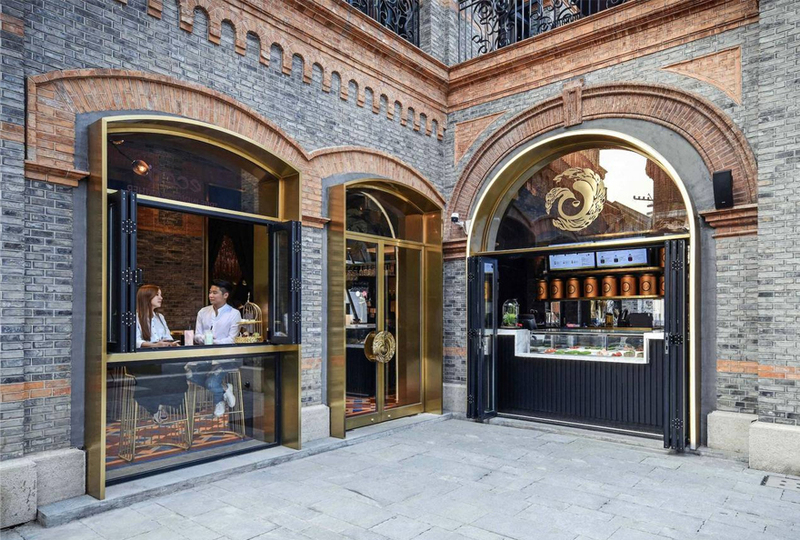 Each layer was meticulously carved to mimic the mountainous tea fields and to form niches for patrons with a need for privacy.